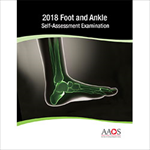 Gain insight into the depth and breadth of your current foot and ankle knowledge. Explore areas that are evolving or common, but often not fully understood by those who do not specialize in foot and ankle concerns. Determine factors contributing to complications associated with treating foot and ankle injuries. 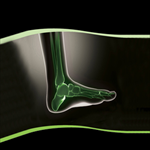 Explore treatment options for athletic, degenerative, and traumatic abnormalities of the foot and ankle. •Describe the diagnosis and treatment of various forms of flatfoot deformity. •Recognize, evaluate, and treat foot disorders affecting people with diabetes. •Recognize, evaluate, and treat athletic, degenerative, and traumatic abnormalities of the foot and ankle. •Recognize, evaluate, differentiate, and treat the various causes of forefoot pain.